Browse a wide collection of outdoor displays, including portable, off-the-shelf outdoor tents, banners & flags and signs in a variety of types and sizes. 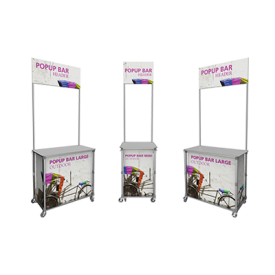 Designed for weather resistance and durability, portable outdoor displays create the opportunity to reach a new audience. 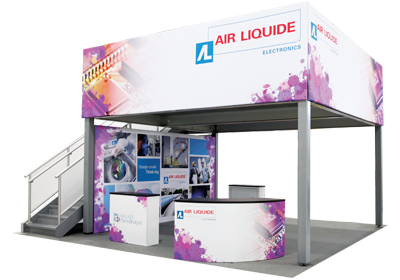 Outdoor displays can withstand all kinds of weather conditions, and many feature weighted bases and other ground poles for added stability in intense conditions. On top of this, these outdoor displays are easy to transport and set up. 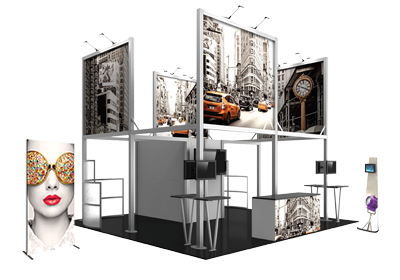 Finding the perfect, durable display for outdoor events, environments and more that attract and engage visitors has never been simpler. 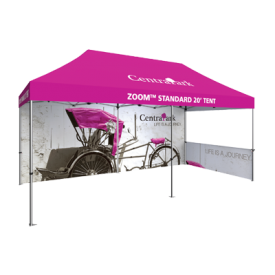 10ft wide Economy and Standard and 20ft wide Standard display tents are available with custom graphics. Outdoor display tents are made with weather resistant material and allow for reaching your audience in all conditions.. 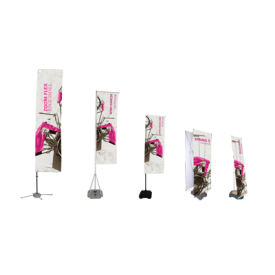 Outdoor display flags come in heights from 8ft to 18ft, and outdoor banner stands are available in retractable, telescopic and x-banner styles. Versatile outdoor signs can be used to advertise in a multitude of locations and weather conditions. Multiple types and sizes are available to fit your needs.